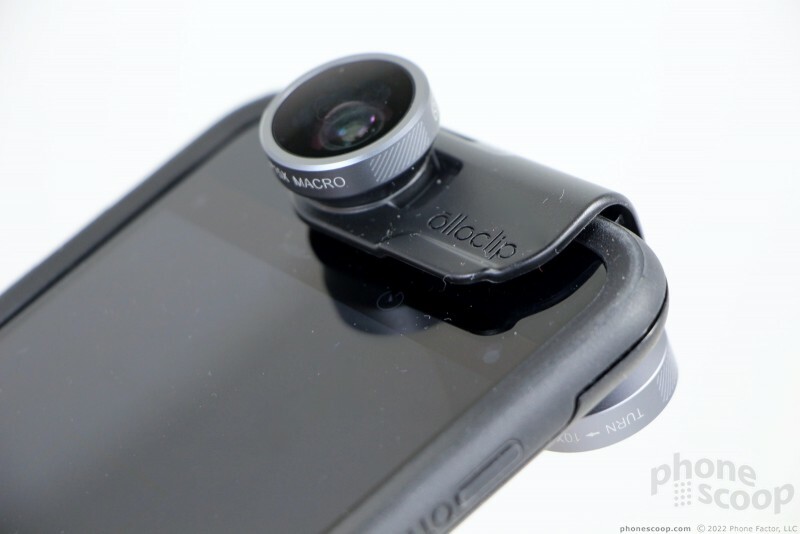 Otterbox, maker of rugged cases, and Olloclip, maker of add-on smartphone lenses, have teamed up to create an combo product that includes a case and set of lenses for Apple's iPhone. This set of products is for people who want a rugged case to protect their precious device that also gives them the freedom to use modular accessories. 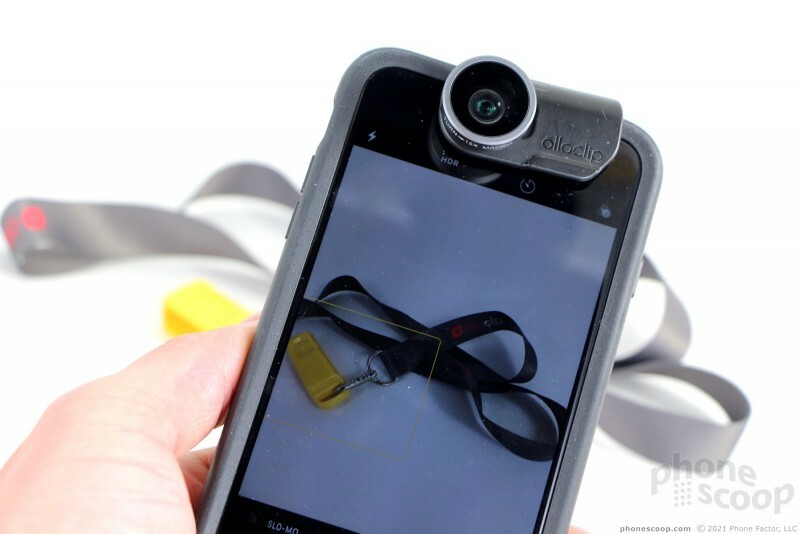 It's vital to understand that there are two products here: the first is the new Otterbox Universe case, and the second is Olloclip's 4-in-1 lens accessory. 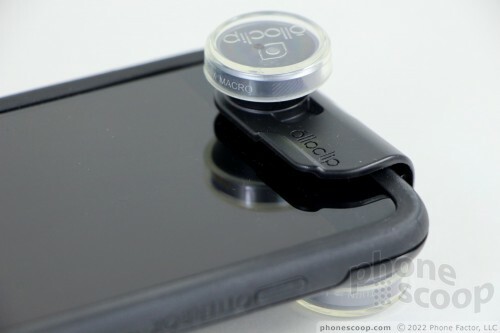 Olloclip is one of the first of several partners to produce a companion product for Otterbox's new, modular case system. 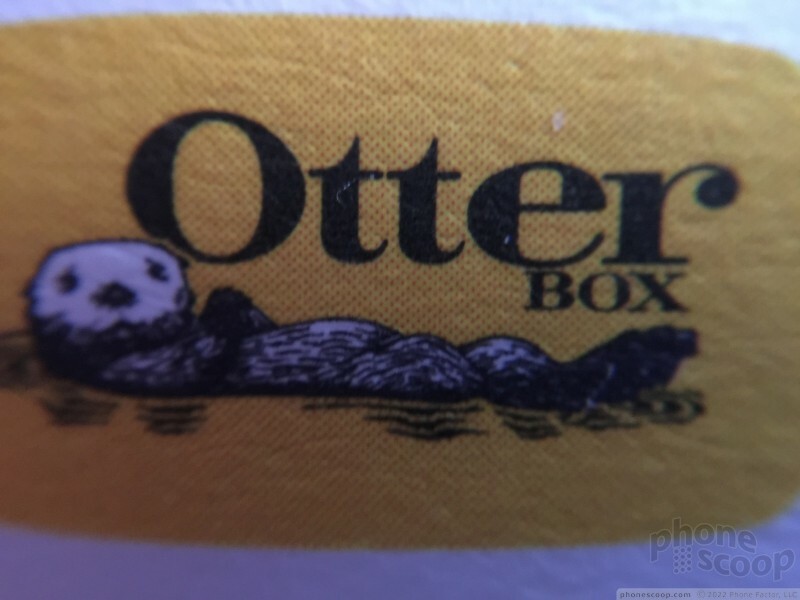 Otterbox is taking a fresh approach to phone cases. 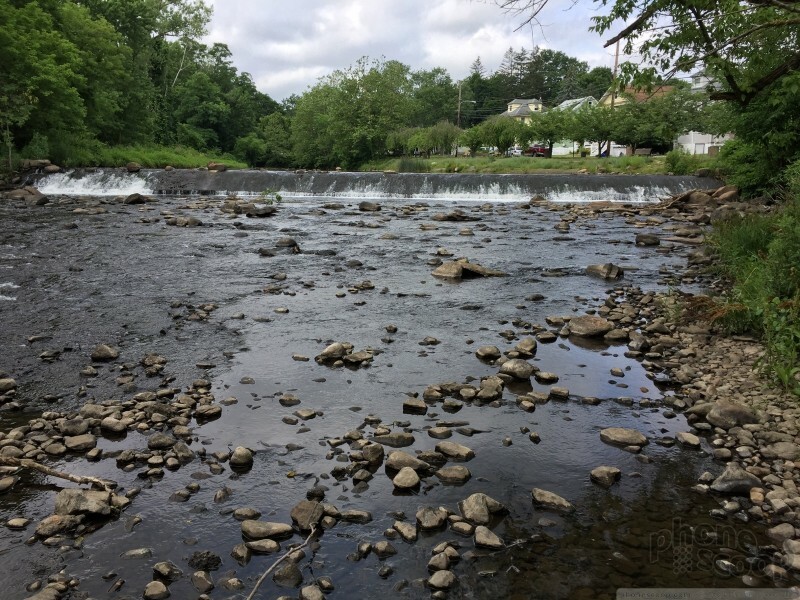 The company has long made rugged and waterproof enclosures for smartphones and other mobile devices. In order to deliver that protection, Otterbox cases are often bulky. 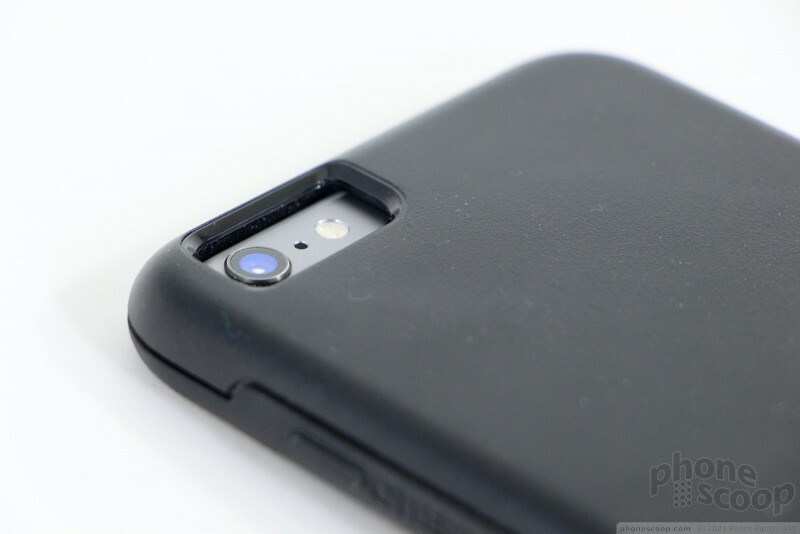 Most cases negate the use of accessories, which means people often have to chose between the case or the accessory. The phone owner loses either way. 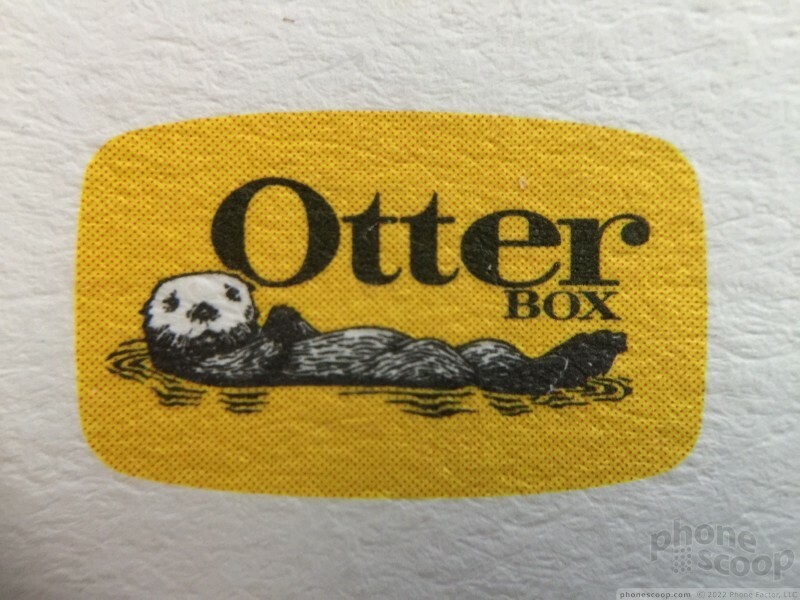 Enter the Otterbox Universe. The Universe is a more traditional case that wraps around the back and sides of the iPhone. 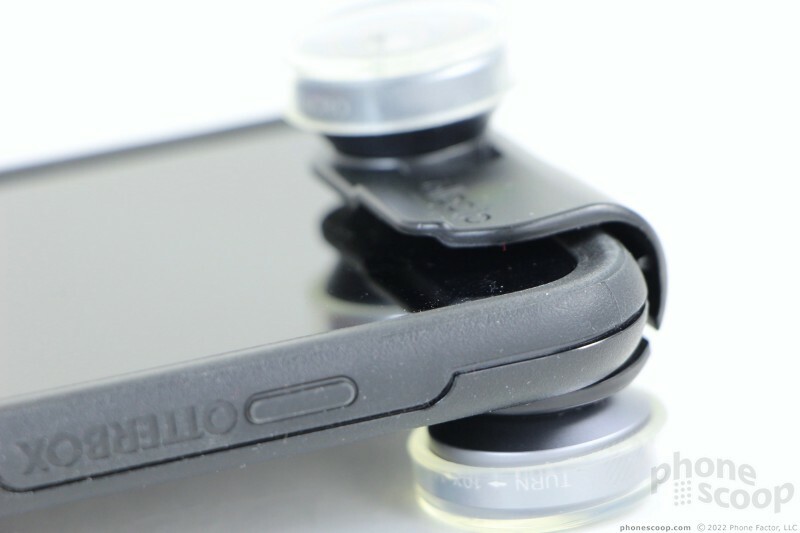 It doesn't fully enclose the iPhone to protect it against liquids, but it can certainly handle some rough usage. The trick is the modular nature of the rear panel. 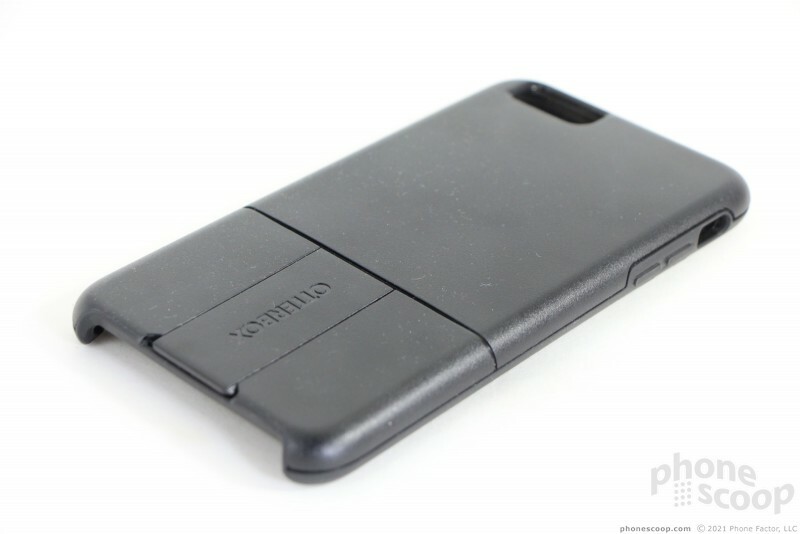 A small segment of the rear of the case slips out, allowing the case to accept modules that add functionality to the iPhone. 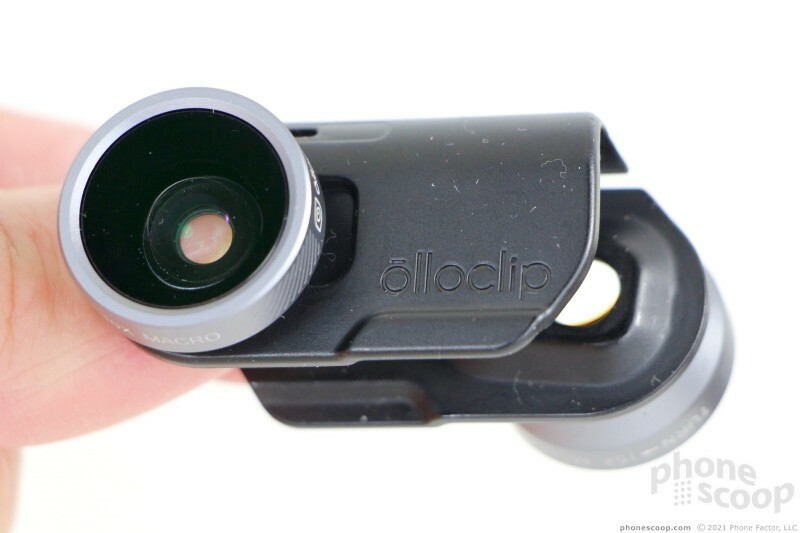 The initial list of partners that have agreed to make modules includes Olloclip, Square, Polar Pro, SanDisk, Seek Thermal, Manatee Works, Influx, Goal Zero, and Nite Ize. 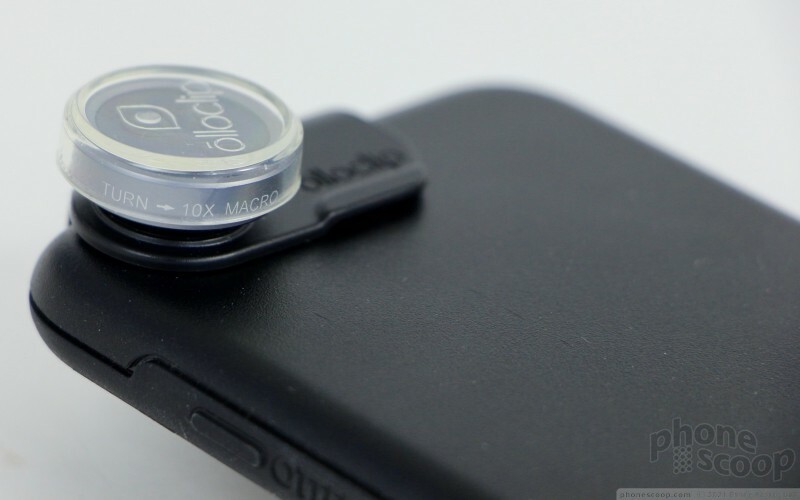 Like Otterbox, Olloclip has been around for some time. 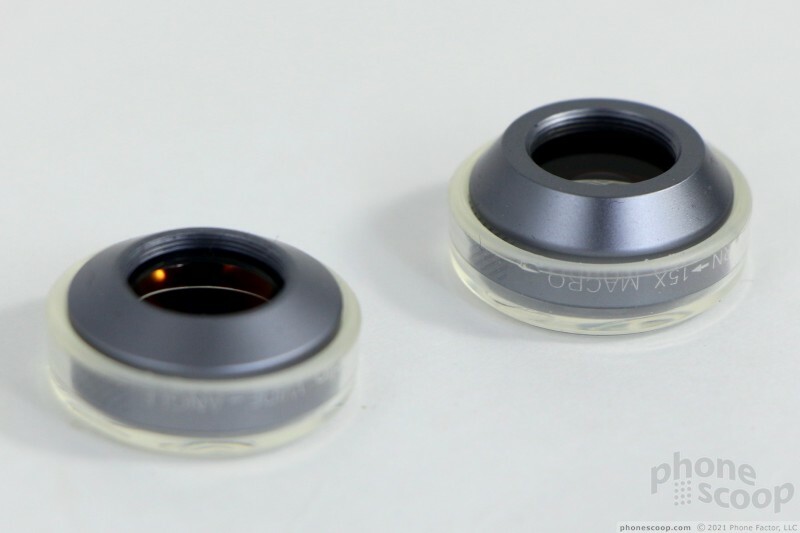 The company has an entire range of add-on lenses for smartphones, though it chiefly targets the Apple iPhone and select Samsung Galaxy handsets. 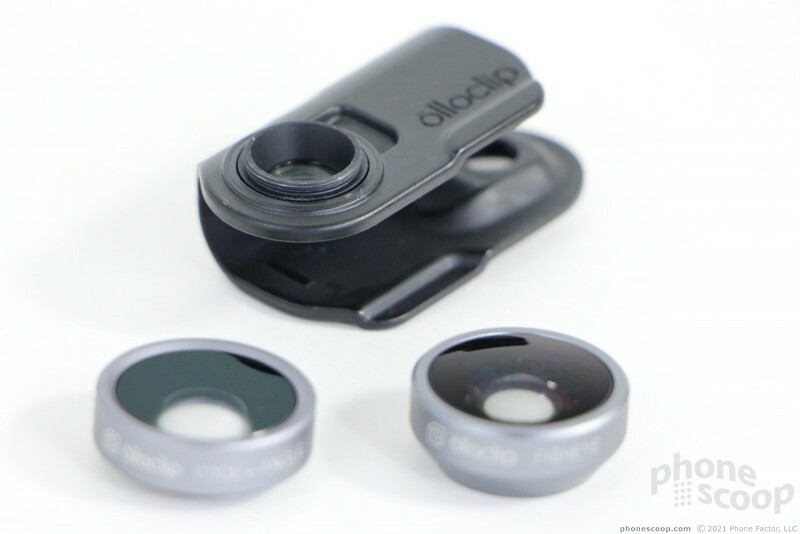 Olloclip's lenses rely on real glass optics to let smartphone owners capture shots they wouldn't be able to otherwise. 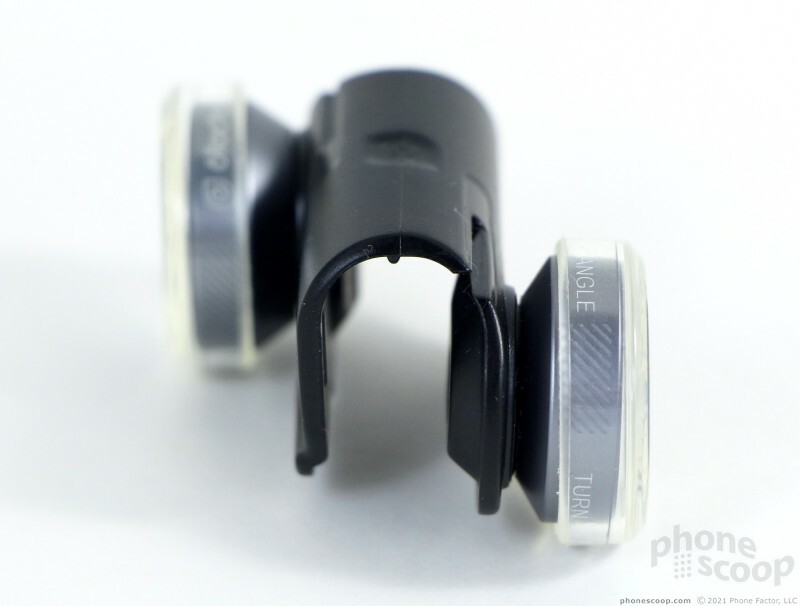 This includes telephoto, macro, fisheye, and wide-angle lenses. 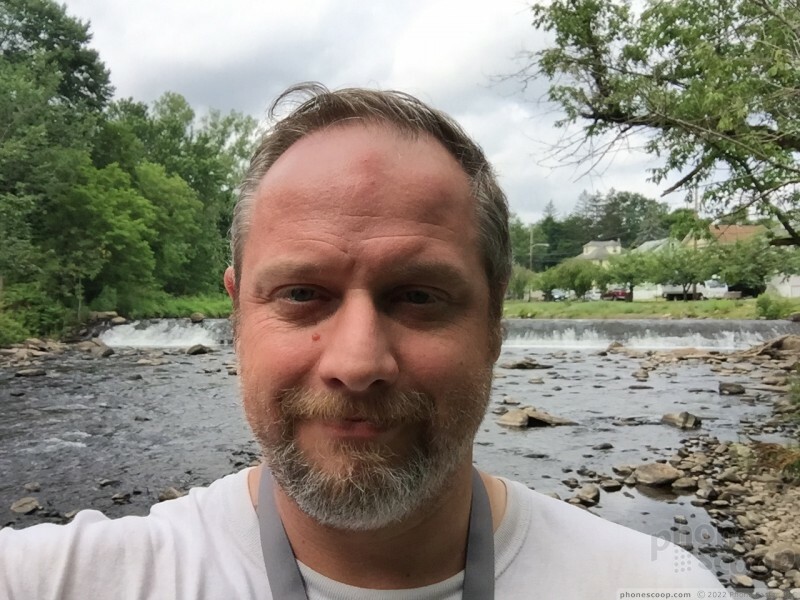 I prefer to go naked — with my smartphone, that is. I rarely use cases for any phone, even highly-breakable ones, like the iPhone or Galaxy S6/S7 series. Yep, I live on the edge, folks, and have paid the price in replacing cracked screens and so on. If I do consent to using a case, I want it to serve some purpose greater than simple protection. By itself, the Otterbox Universe case provides plenty of protection. 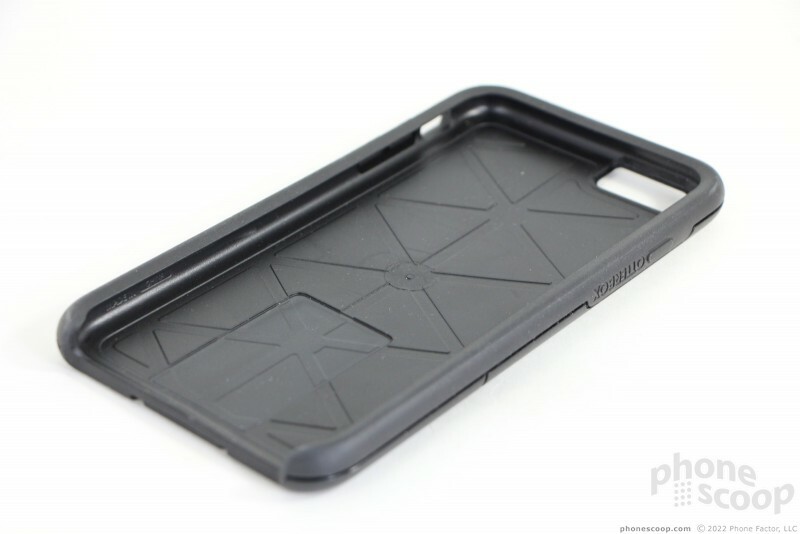 The case is molded by a stiff, durable plastic, and a slightly flexible, rubberized plastic. It's not the most heavy-duty case ever, and is not waterproof, but it does a fine job preventing breakage when the phone is dropped, even on concrete. Like all cases, the Otterbox Universe adds bulk and weight. The case for the iPhone 6 Plus weighs 2.26 ounces, making a heavy phone even heavier: 8.4 ounces together. The height and the width increase by about 0.3 inches each, while the thickness swells from 7.1mm to 12mm. The case only comes in black or white/gray. 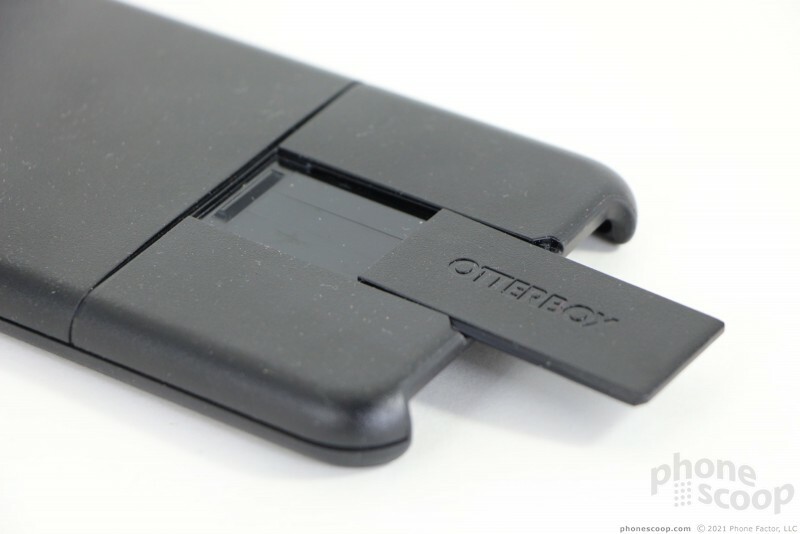 The bit that makes this Otterbox "universal" is located on the bottom portion of the rear panel. 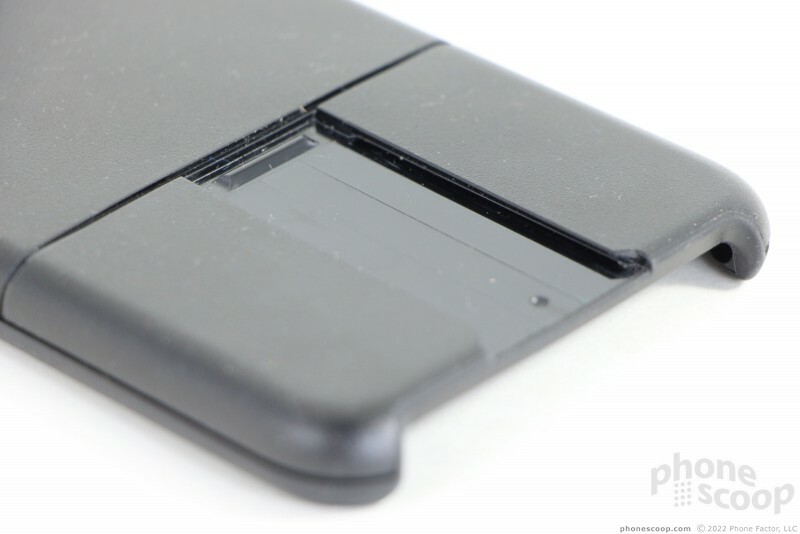 A thin segment of the hard plastic slides out, allowing owners to slide modules in. I was hoping the segment might also serve as a stand for the case, but it doesn't. If you want nothing more than a semi-rugged case, the Otterbox Universe is pretty decent by itself. 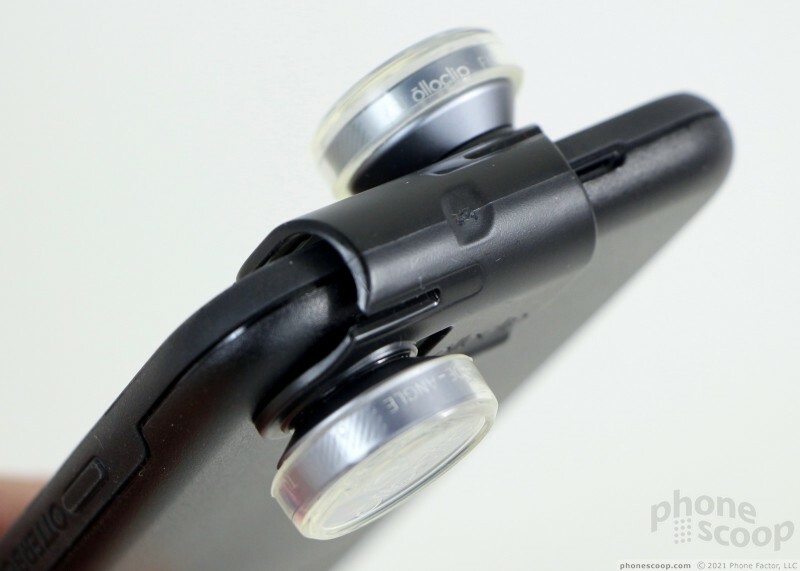 There are several things I really like about the Olloclip 4-in-1. 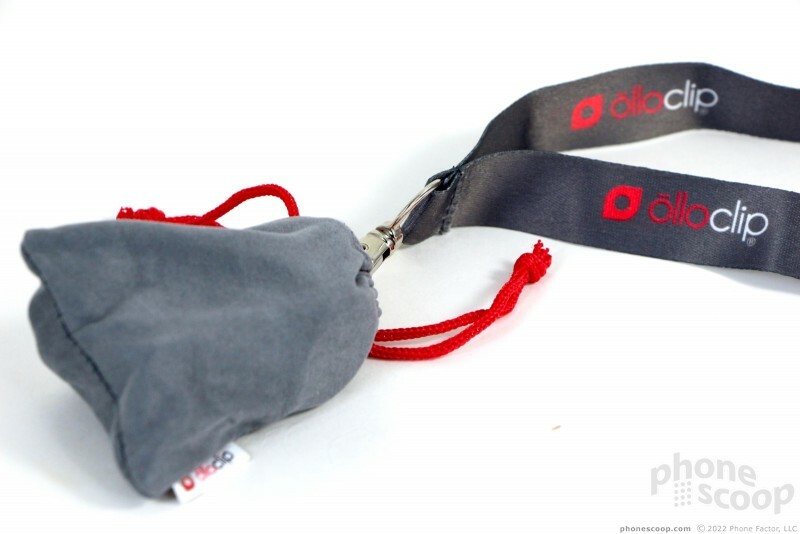 First, it comes with two different clips; a lanyard you can wear around your neck, and a keyring you can attach to whatever. 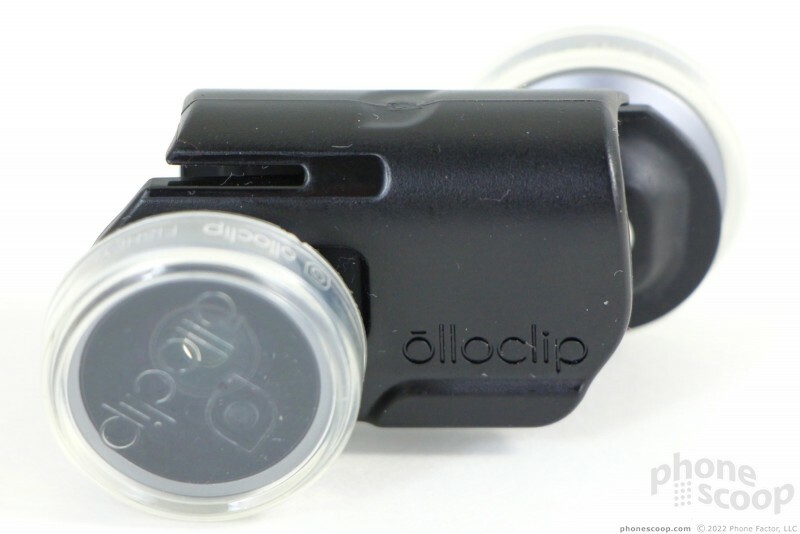 The clip holds the 4-in-1 conveniently on your person so it is always accessible. 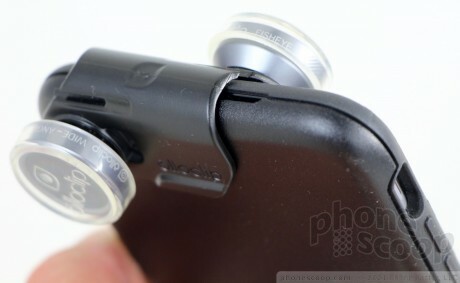 Second, the device ships with a microfiber case that you can use to clean the lenses. The lenses themselves have protective caps, but my guess is you'll lose them easily. The microfiber case is, as it turns out, necessary since it is so easy to smudge the lenses when adjusting the 4-in-1 on your phone. 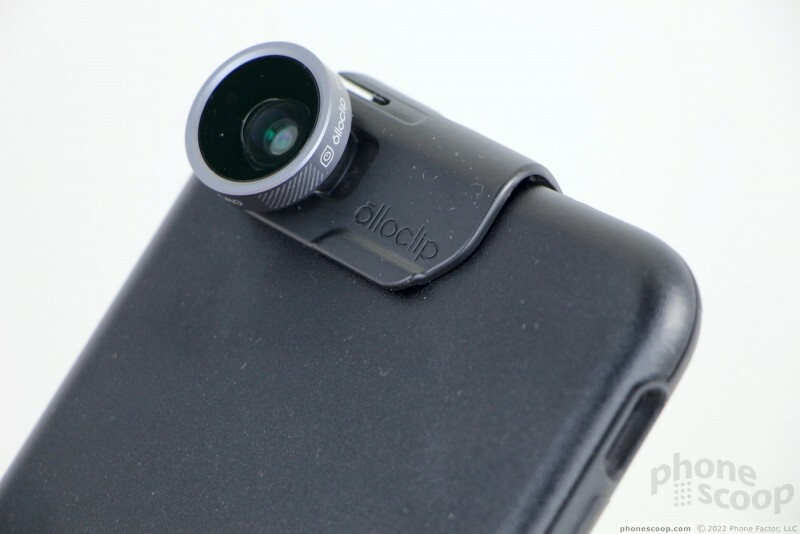 There are several things I really don't like about the Olloclip 4-in-1 for Otterbox Universe, chiefly the fit. The module was designed expressly for the purpose of fitting this particular case and yet somehow attaches itself only loosely. A groove in the top of the case is supposed to match a tongue built into the underside of the 4-in-1 module, but the two never really connect. This leaves the module seated crookedly on top of the phone. 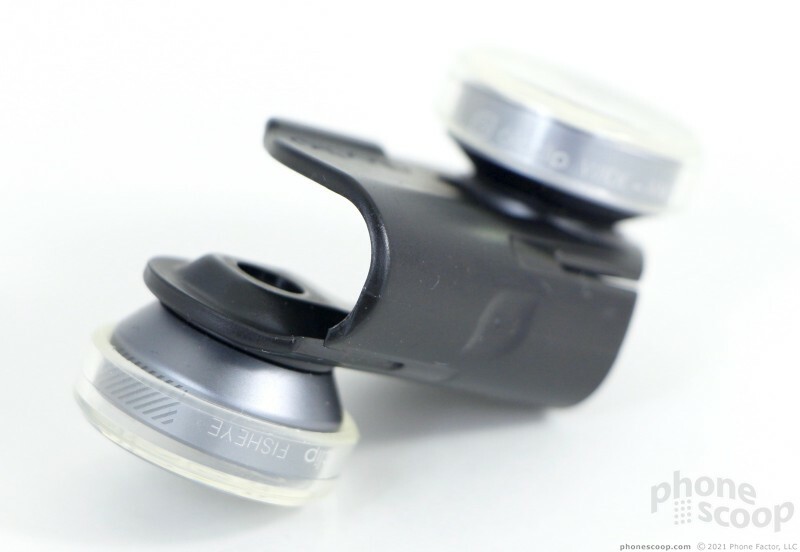 The module is built to slide around a bit, but even then it's too loose for my tastes. 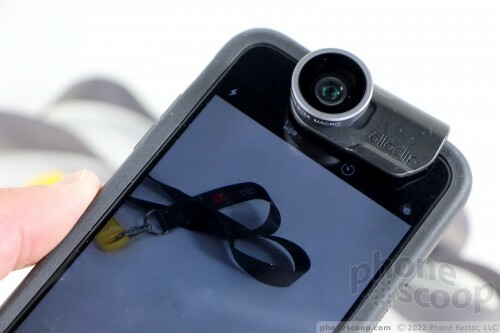 You can use the lenses with either the main camera or the selfie camera, but you can't use both cameras at the same time. 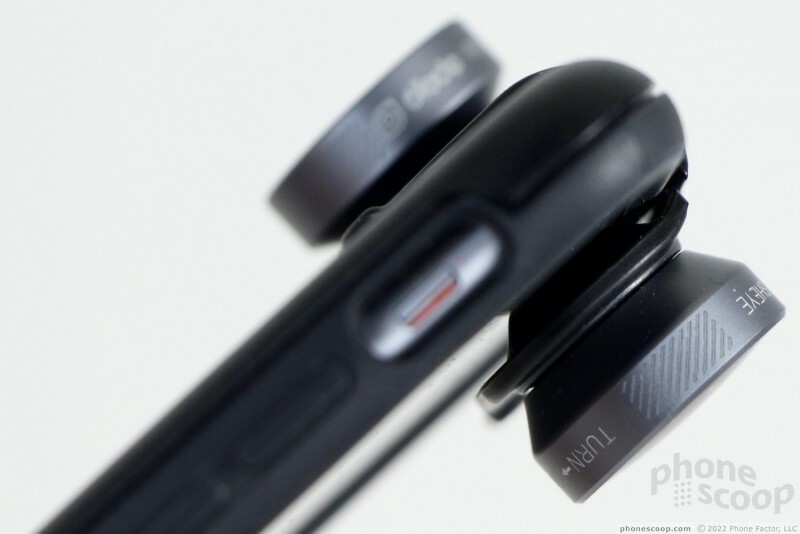 The two main lenses jut out noticeably; you can't put the phone in your pocket with the lenses attached. 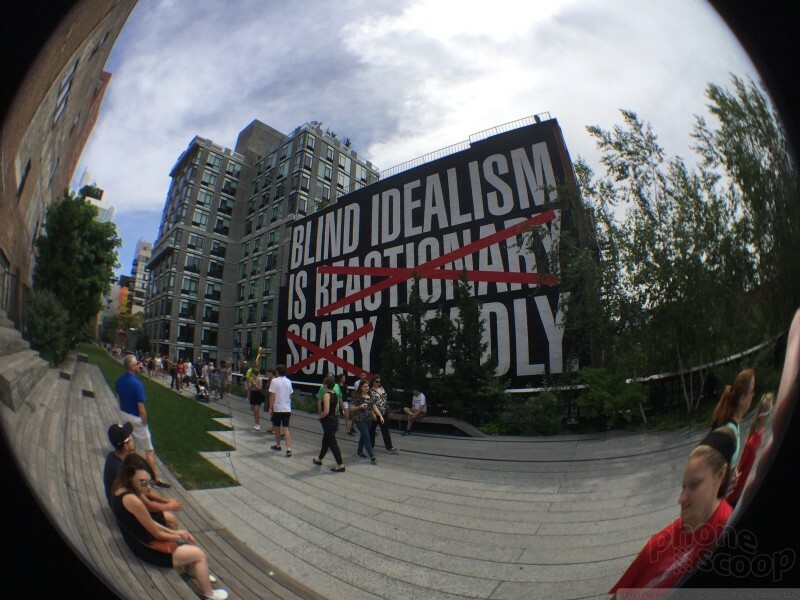 Where are the other two lenses, you ask? Hiding. 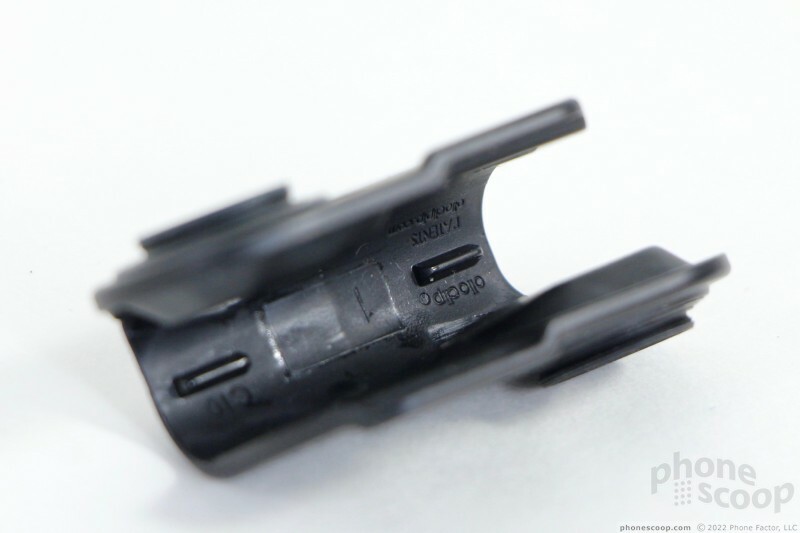 Unscrew the fisheye lens from the clip to find the 15x macro lens and unscrew the wide-angle lens to find the 10x macro lens. 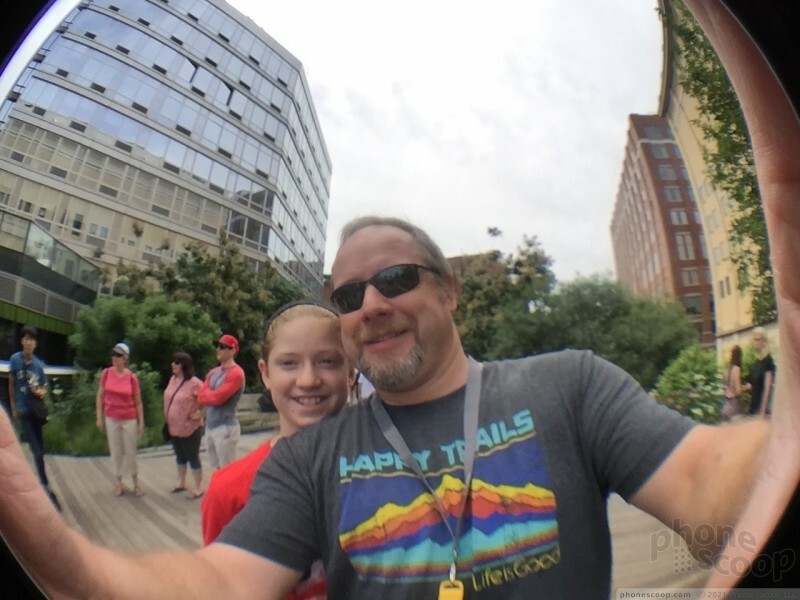 Do these lenses really work? Yes, but imperfectly. 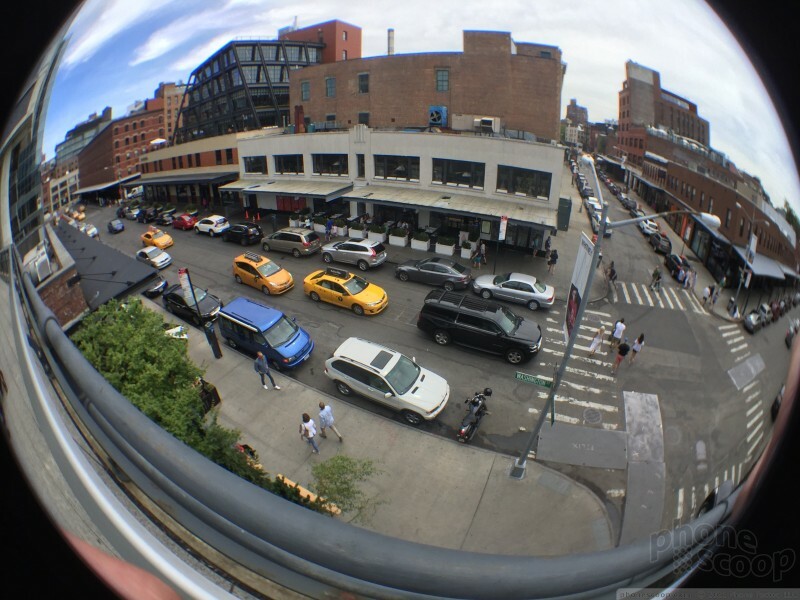 The fisheye effect lets you capture nearly 180-degree images, but with dramatic optical distortion. 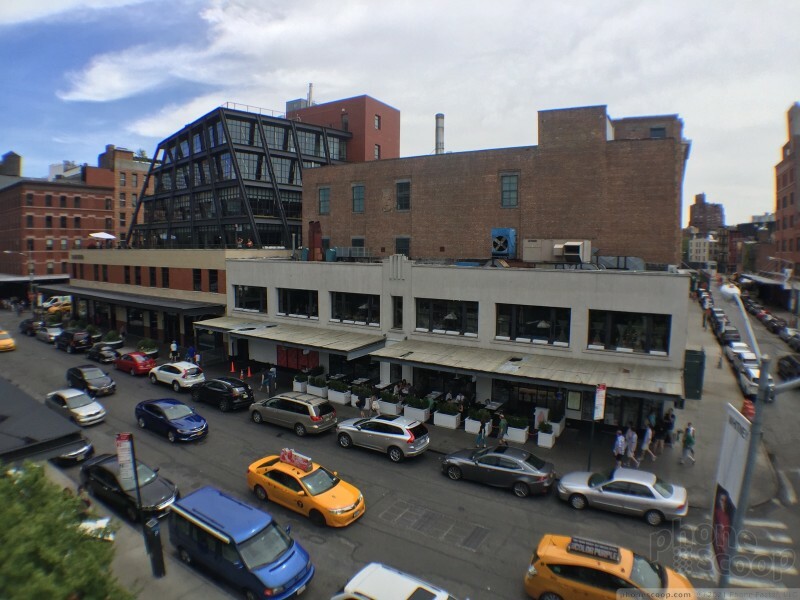 Whatever is in the middle of the frame is grossly enlarged, while objects around the perimeter are squashed and look far away. 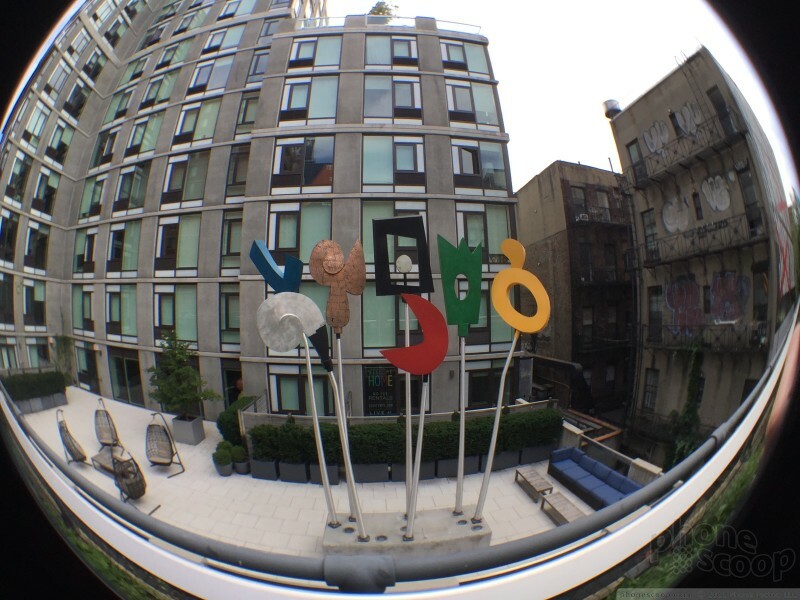 Also, the resulting images are nearly circular in shape, not rectangular. 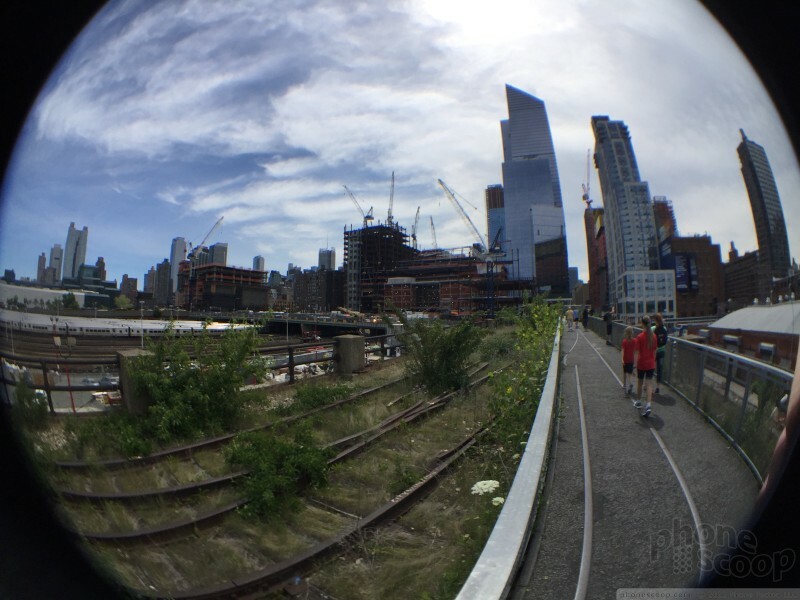 This is the nature of a true fisheye effect, and the Olloclip certainly pulls it off. 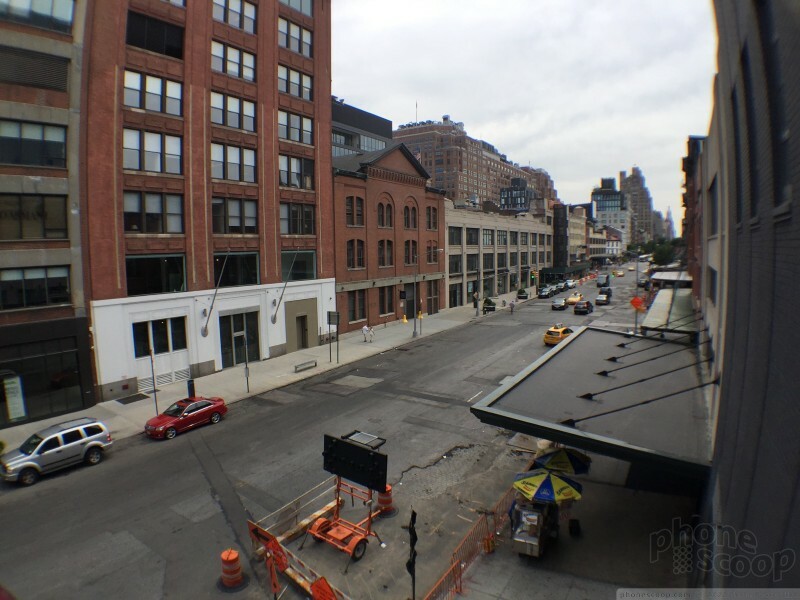 I noticed some softness in the images I got and definitely some odd focusing behavior, but the Olloclip lens does let you take fisheye pictures without using software. 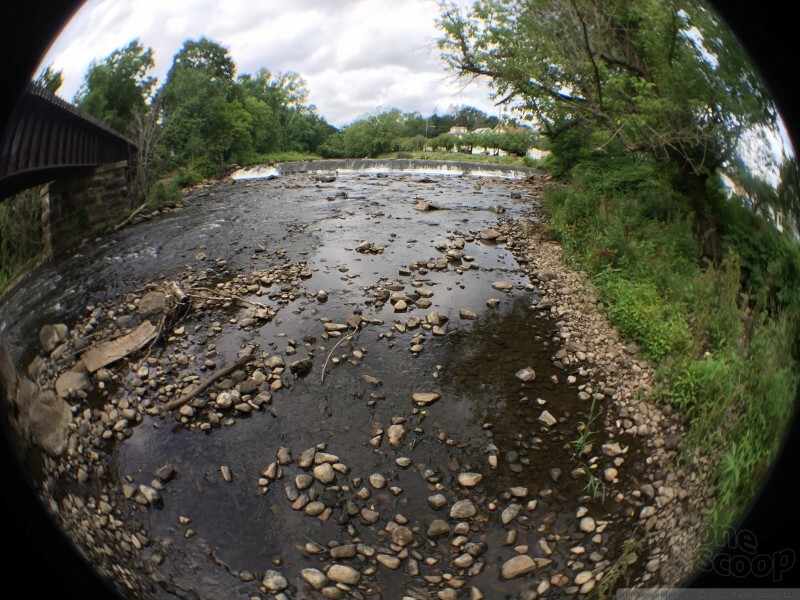 The wide-angle lens lets the iPhone capture a wider field of view than the stock camera. 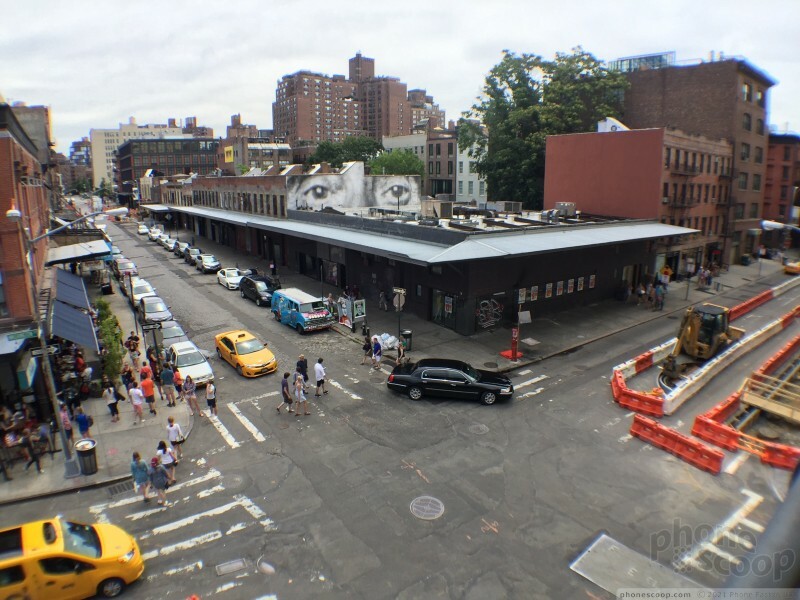 Olloclip doesn't say exactly how much wider, but the difference is apparent when you place a normal image next to one captured through the wide-angle lens. 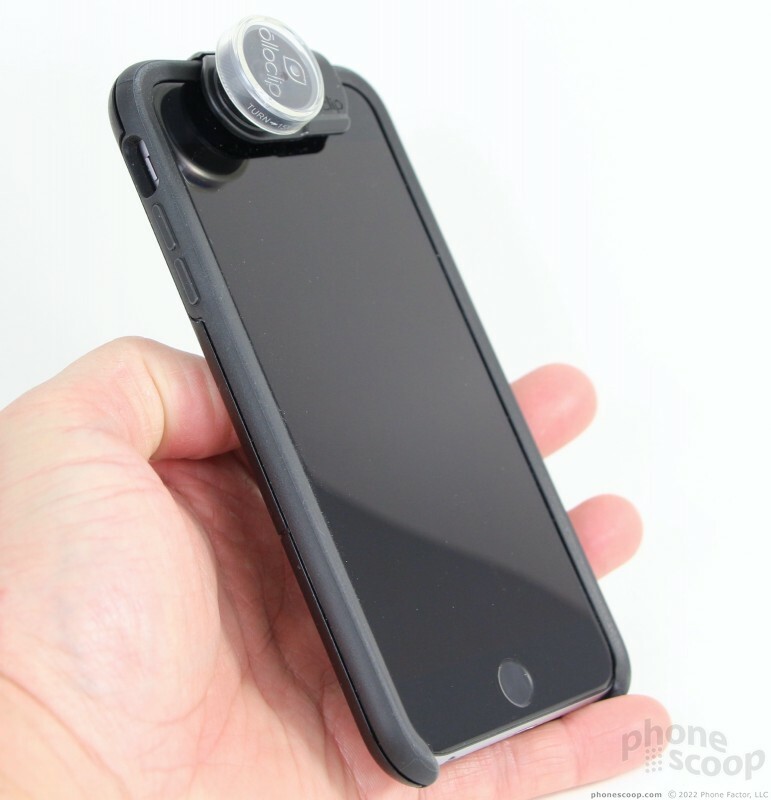 This lens can be particularly helpful when trying to capture a group selfie via the iPhone's front camera. 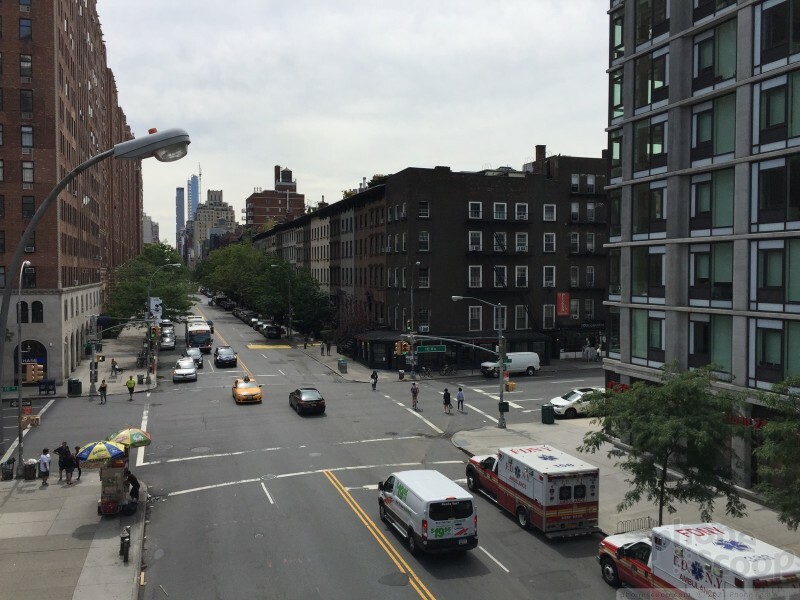 It also lets you cram more into the frame if you're in tight quarters, such as indoors, or a narrow city street. 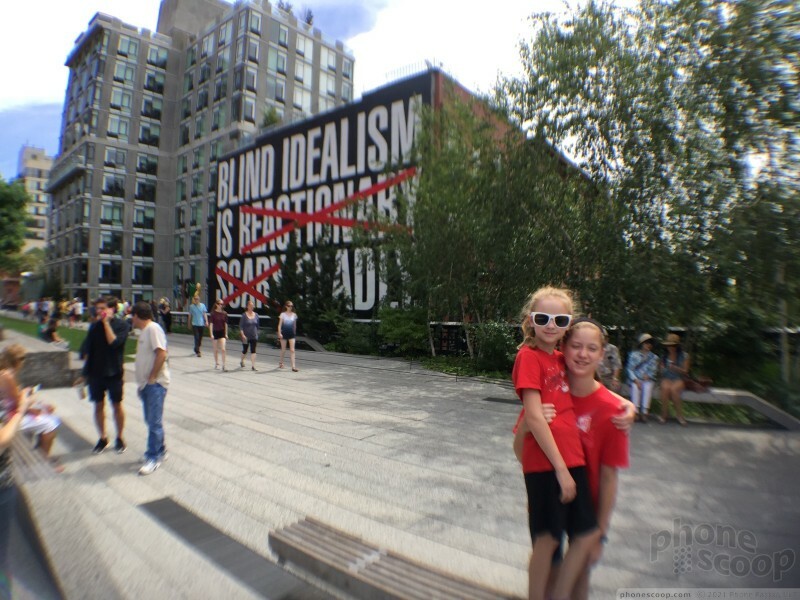 Like the fisheye lens, I saw some focusing issues. The depth of field is rather narrow, so you have to be careful to choose your subject when focusing. 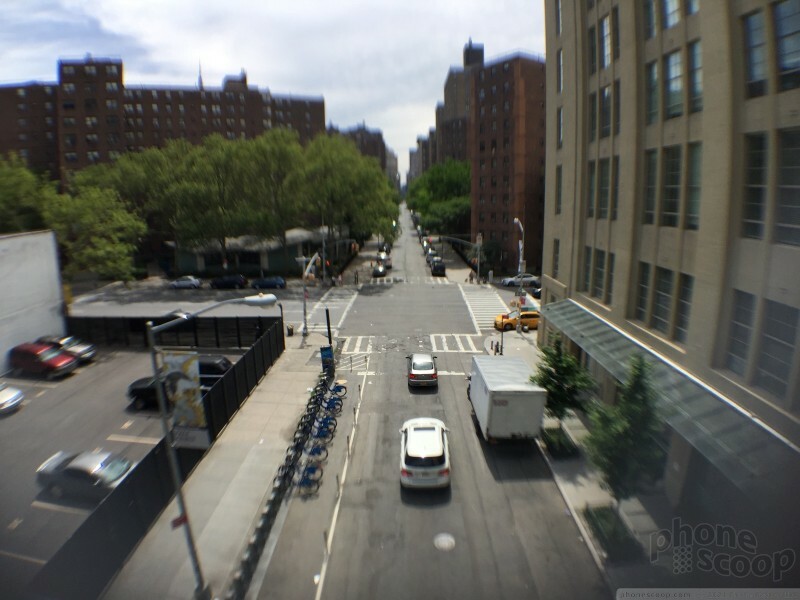 The wide-angle lens also introduces optical distortion (look at any straight line in the samples below to see it), but it's not nearly as severe as the fisheye. 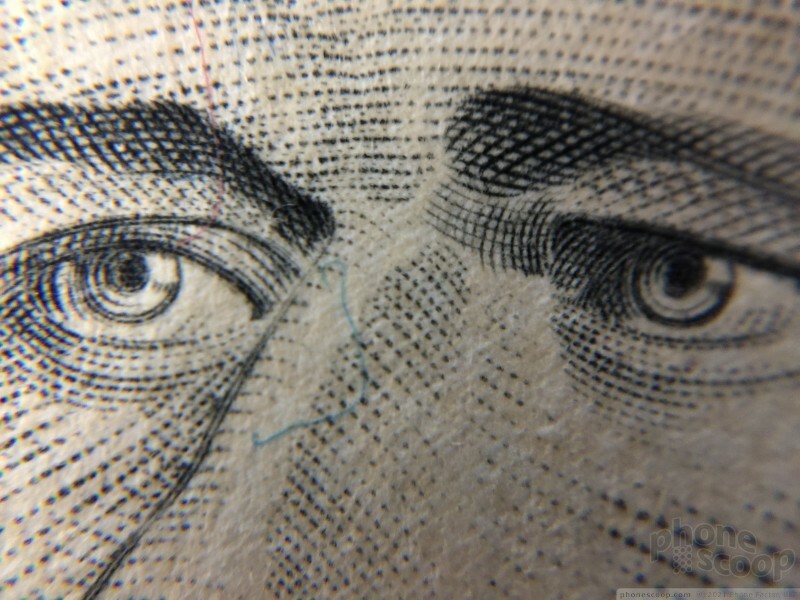 The macro lenses are neat, but incredibly tough to use. The one that produces 10x magnification is much easier to use effectively than the one that produces 15x magnification. Both lenses require you to be right on top of your subject with a steady, steady hand. 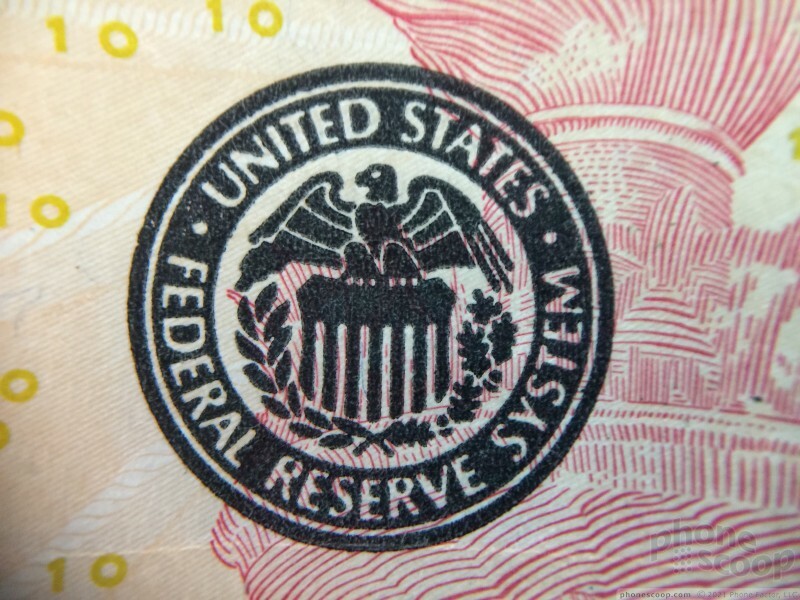 The 10x macro has a deeper depth-of-field, which provides more flexibility when it comes time to focus. 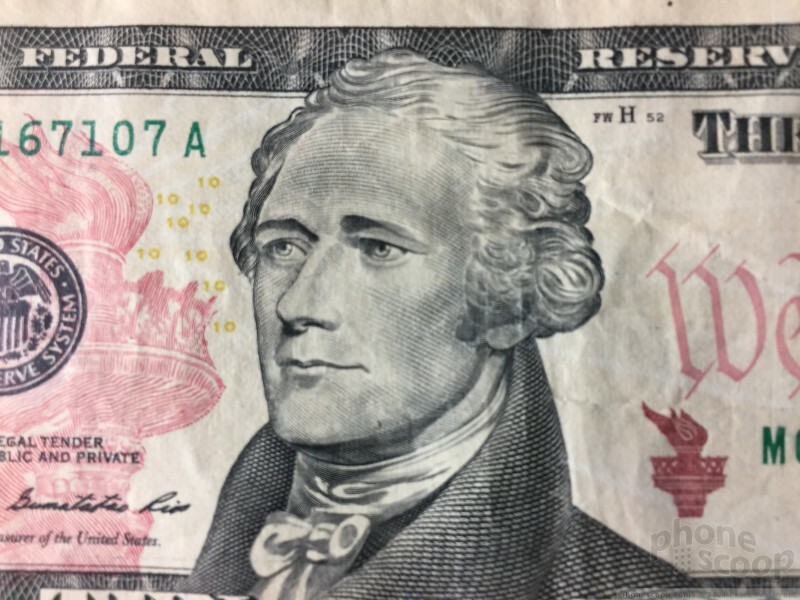 I was able to capture neat details on a $10 bill and a business card with a reasonably good exposure from about 2 inches away. 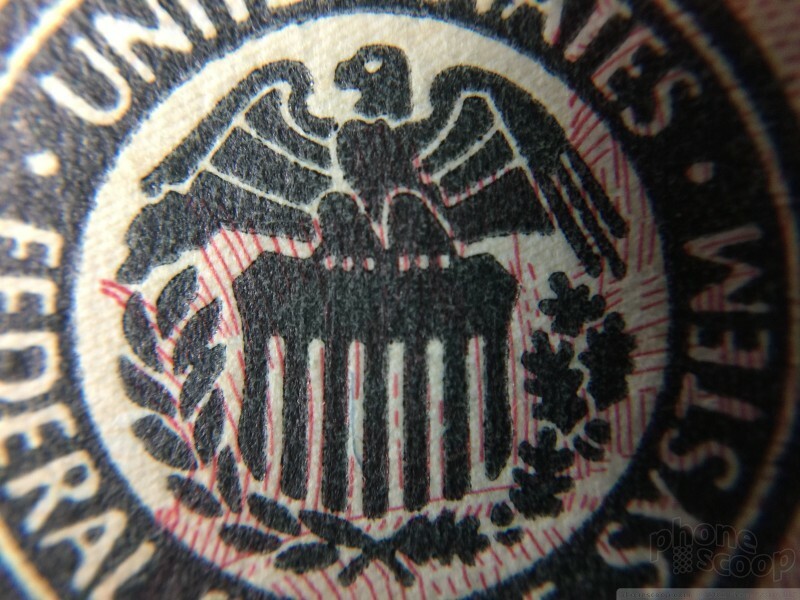 The 15x macro needs to be placed almost directly on top of the subject — as in 1 or 2cm — to get any results at all. 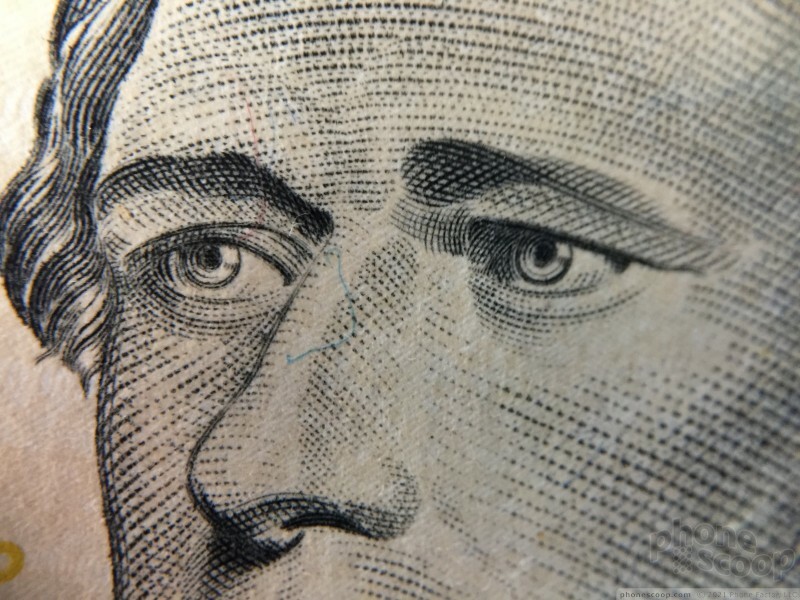 The 15x macro does snag incredible detail that the iPhone camera simply cannot on its own, but it takes work. I found the 15x macro caused focusing and exposure issues. 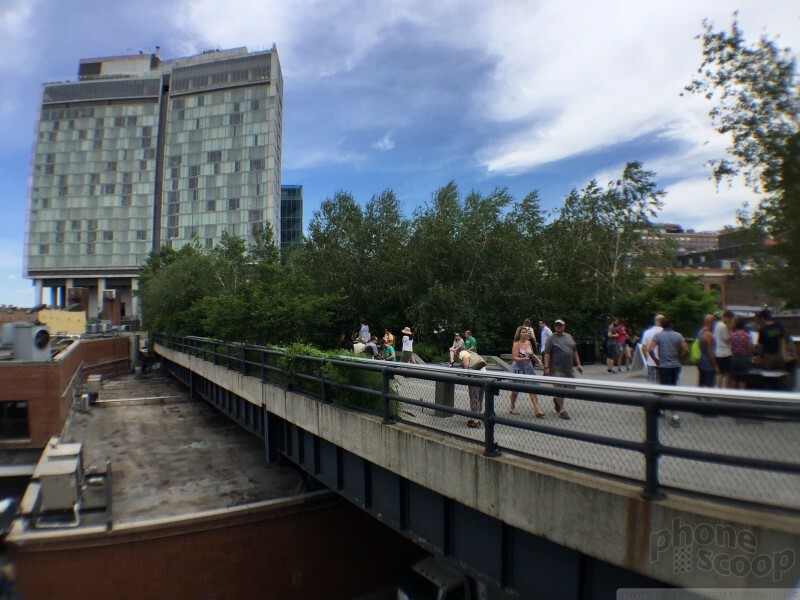 The depth-of-field is so narrow that you have to use trial and error to find the range at which the phone can actually achieve sharp pictures. 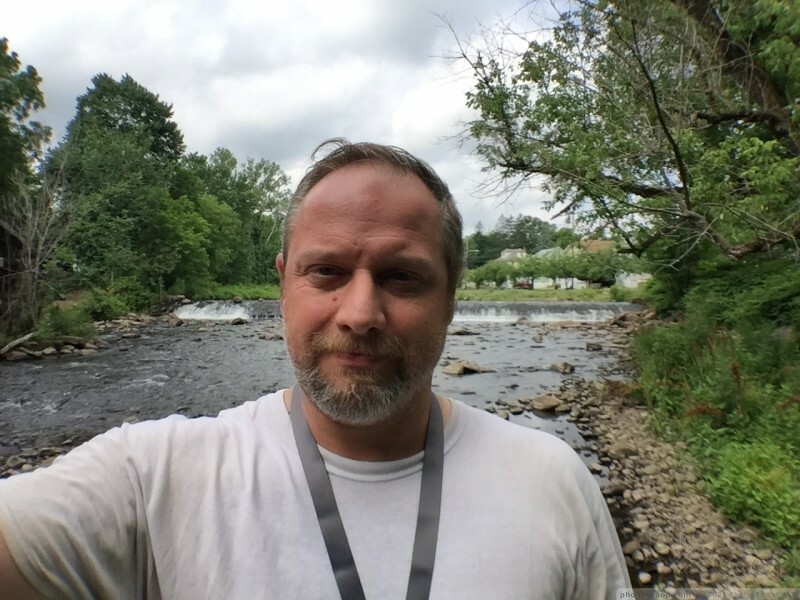 Moreover, because the 15x macro requires such close proximity to the subject, you're all but blocking out the ambient light needed to take the picture. Everything needs to be perfectly still for the best results. 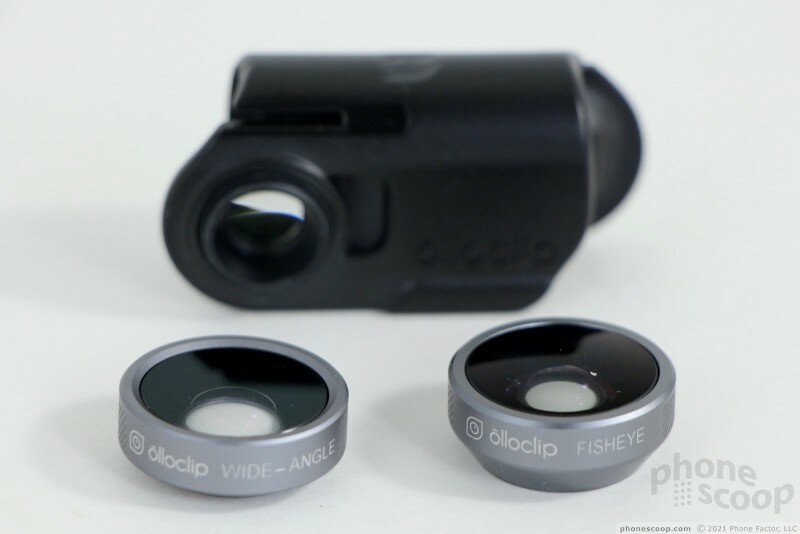 Olloclip's lenses do what the marketing materials say they do, but they require some time and effort to achieve usable results. 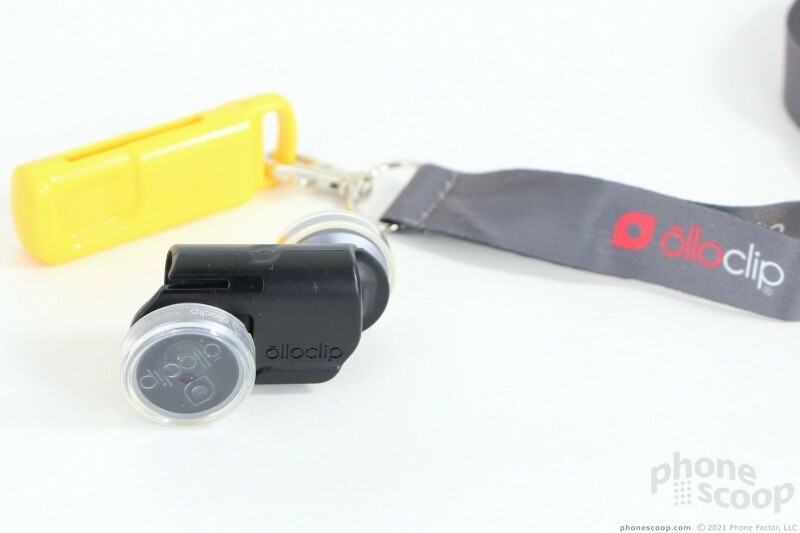 Otterbox has an interesting idea with the Otterbox Universe modular case system, and I'm glad to see an accessory maker like Olloclip jump aboard to support it. It will be interesting to see what Otterbox's other partners do to enhance the Universe case system. Let's talk brass tacks. The Universe case costs $50 for the iPhone 6/6s and $60 for the iPhone 6 Plus and 6s Plus. 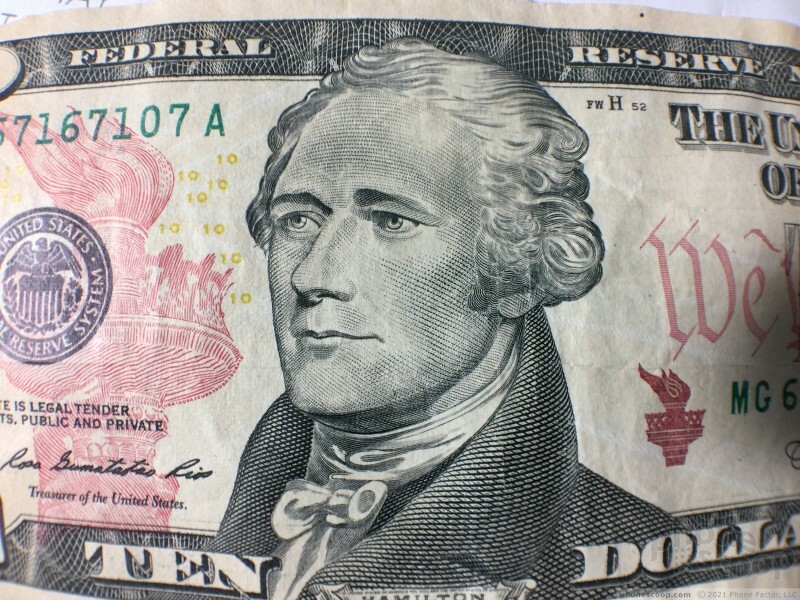 That's a steep cost for just the case alone, considering the breadth of cases available in the $20 to $30 range. 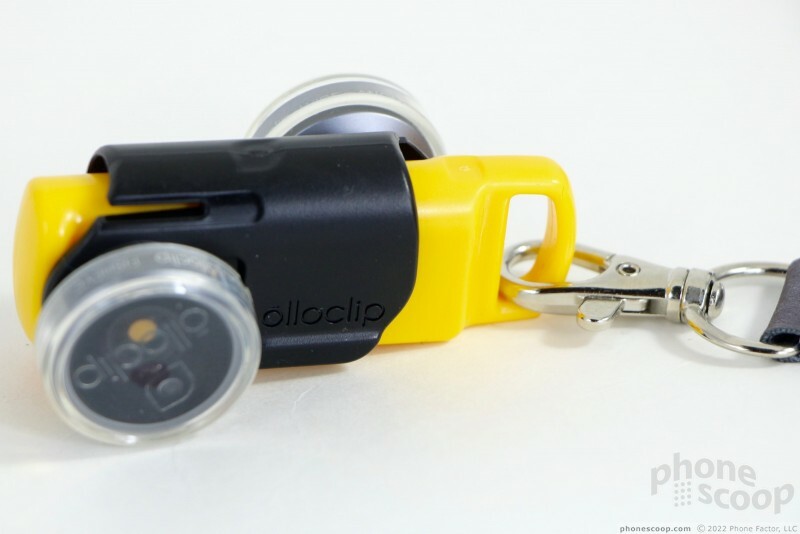 The Olloclip 4-in-1 for the Otterbox Universe costs $80. The total cost for the system is $130 for the iPhone 6/6s and $140 for the Plus variants. That's a lot of bread. The real thing to consider here is whether or not you want to invest in Otterbox's potential universe of modular accessories. 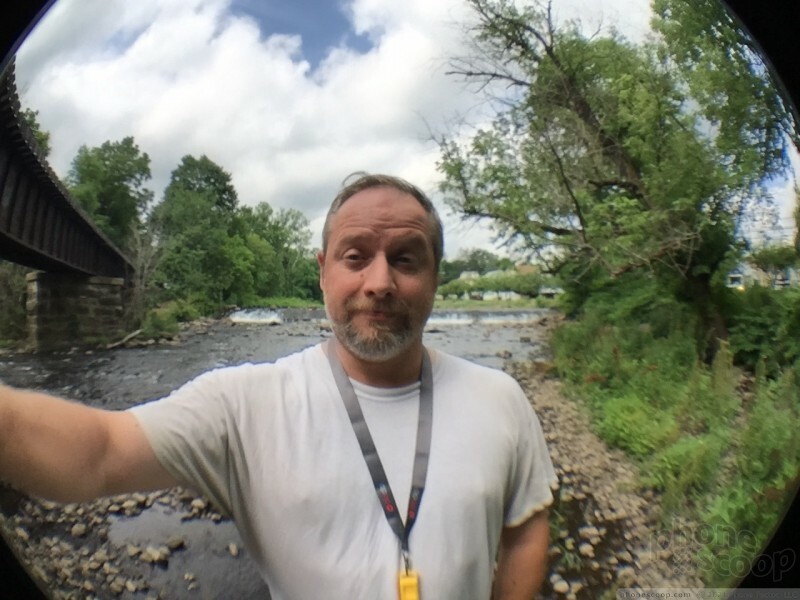 Some of the other products filling out the ecosystem are a Square reader, a SanDisk portable hard drive, and a Polar Pro tripod, just to name a few. If you want to interact with a wide(r) range of accessories while still protecting your expensive iPhone, then the Otterbox Universe makes some sense, even at $50/$60. The one major issue is the lack of diversity here. The Universe ecosystem targets only Apple's most recent iPhones and there's no word if it will work with the forthcoming 2016 iPhone from Apple or even Samsung devices. 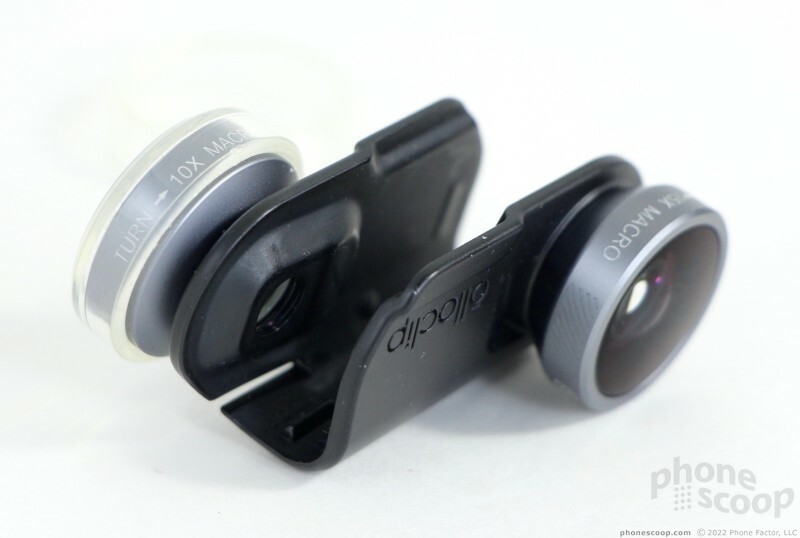 I genuinely appreciate what Olloclip brings to the table here with its lenses, but wish its custom clip for the Otterbox worked a bit better. The end results are still there, but take some futzing around to achieve. 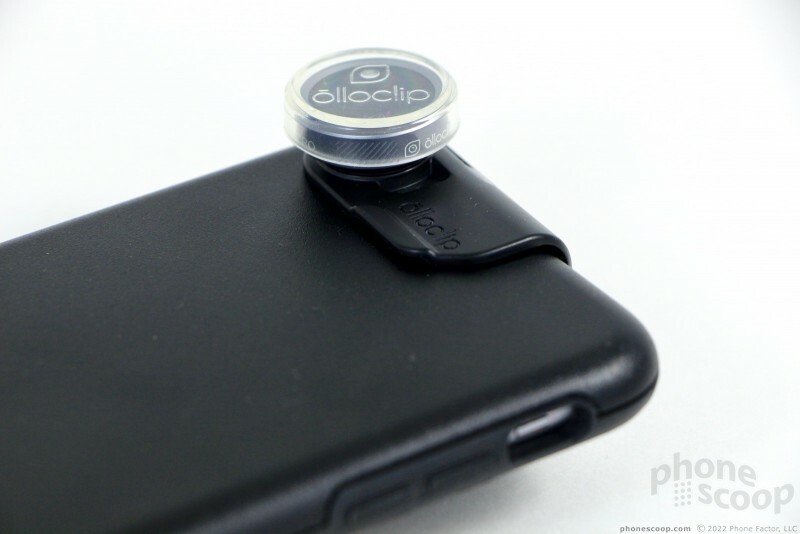 If you don't care about cases but still want the photo effects, perhaps consider buying the Olloclip lenses on their own. 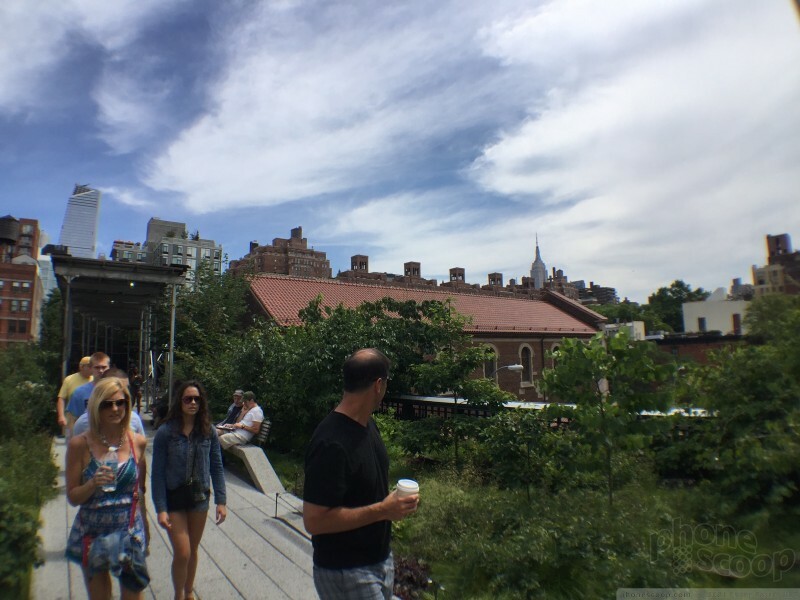 Google has added the ability to plan multi-stop trips to its app for iPhones and iPads. 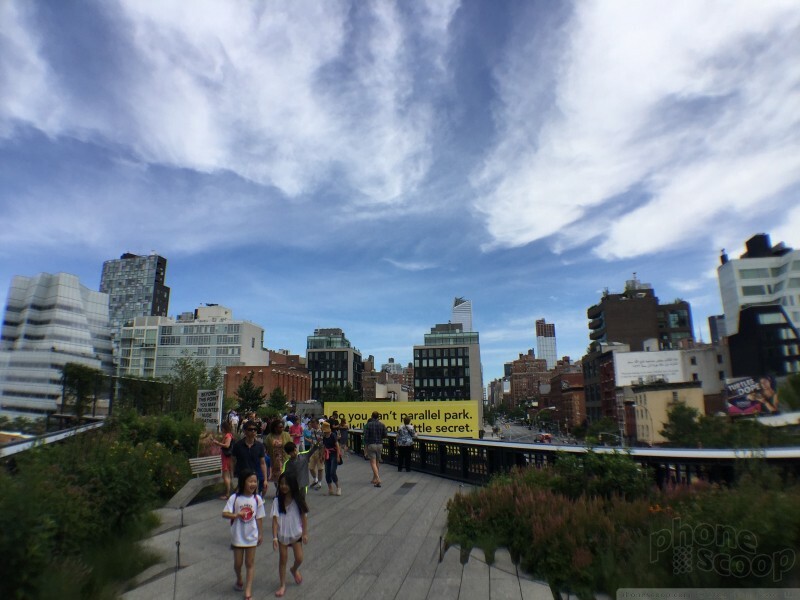 The latest version of Google Maps for iOS allows people to add multiple destinations to a single excursion. 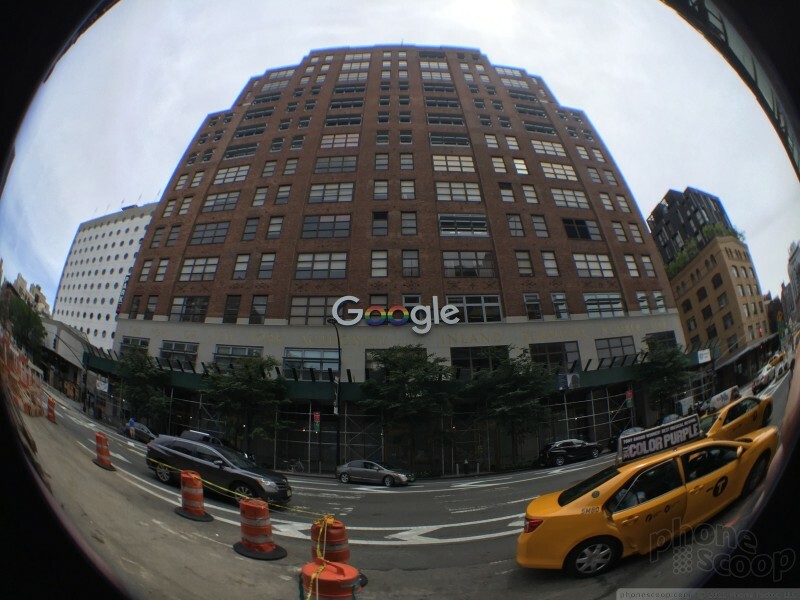 Google today updated its Google Search app for the iPhone and added several new features. The most significant improvement is support for Google's accelerated mobile pages, or AMP.